Where do Monarch Butterflies live and what do they eat? How can you make sure that Monarch Butterflies stop by your house? 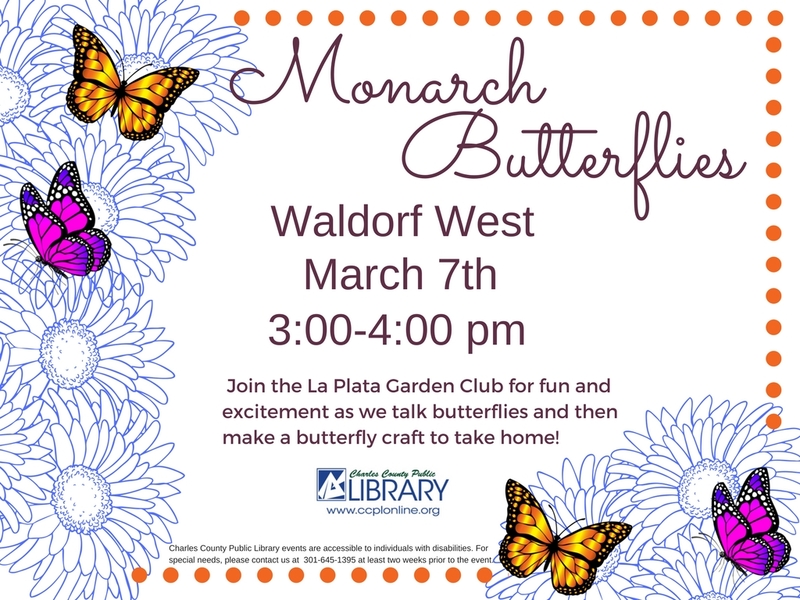 Join the La Plata Garden Club for fun and excitement as we talk butterflies and then make a butterfly craft to take home!